When you are off to sunny (and sometimes freezing) Australia, a stylish pair of sunnies is a definite must pack in your luggage. 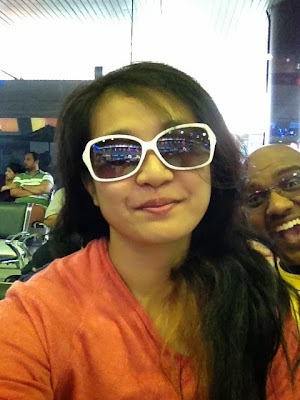 Courtesy of Glassesonline, I arrived in Perth during my trip last month rocking a pair of chic white Dandelion sunglasses. As soon as I was passed immigration and the declaration section, it was sunnies on! When Glassesonline initially offered to sponsor me a pair of sunglasses, I had a quick look through at their online store and was impressed by the wide range of sport sunglasses they had especially those with the thick strap for extreme sport-goers. Those are hard to come by in Malaysia and to be able to get them at an online store that also offers Ray Bans, Oakley and other well known fashion brands, made it all so convenience. Of course, I certainly did not expect Glassesonline to sponsor me one of the sport sunglasses (those cost a bomb) but they were generous enough to let me pick from the Dandelion brand. It took me quite a while to sort out and receive the sunglasses from Glassesonline as the stock for my selected pair kept running out and they kept asking me to choose another. In the end, I opted for the white sunnies and prayed that there was still stock left. There was and I received a tracking number for Aramex delivery. According to the store policy, I was to expect the product within 5-8 days. I got it after 10 days. It wasn't fun staying at home the whole day only to find that Aramex had dropped by during the one time I went out to buy dinner. Oh, and that too. They deliver well into the late evening and unlike Poslaju, don't leave a note to inform you that they had been there. I ended up home-bound for two days just for the sunnies. But I got it in the end and was elated. 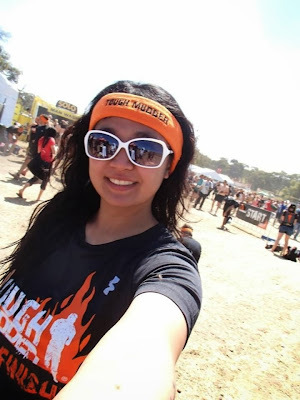 Now I was actually in Perth to take part in 'possibly the toughest event on the planet' - Tough Mudder. My team of 11 set off to tackle the 20km obstacle course on a cloudy Saturday morning at 8am but Mr Sunshine came out with a vengeance at 11am and we were only halfway through. Sadly because of all the mud, water and electric, I didn't want to risk bringing my sunglasses as its plastic frame was not built for these kind of events. However as soon as we finished at noon, it was sunnies back on for me! The sun was blazing hot and so sunny that everyone was squinting. And for Asians, that meant our eyes were almost closed. 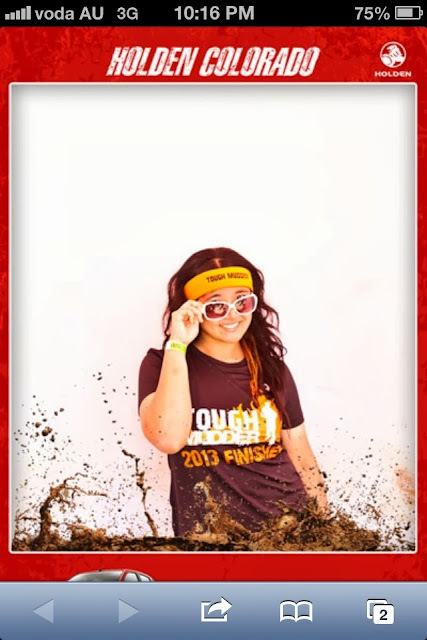 Meh, at least I got an one of a kind and chic photo to remember the event by. If you're looking for quality eyewear and vision care at remarkably low prices, you've come to the right place. As Malaysia's first online glasses store, we offer a wide selection of high quality prescription eyeglasses, frames, contact lenses and branded sunglasses for both men and women. We work closely with brands to provide you with quality frames and lenses, and continue to raise the bar for great customer service and flexible returns all over Malaysia. 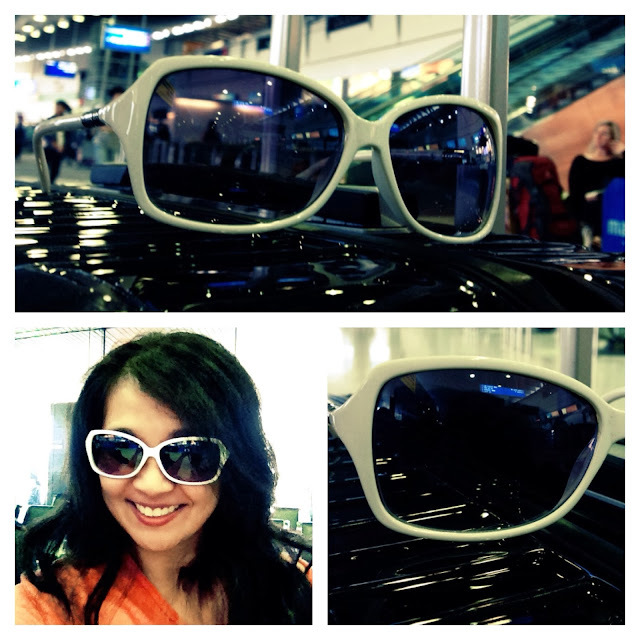 Check out Glassesonline at www.glassesonline.com.my. *Product was sponsored by Glassesonline but comments, experiences and opinions are the writer's own.